Widely recognized as a Sportsman’s Paradise, Steinhatchee offers some of the best hunting, fishing and scalloping available in the state of Florida. 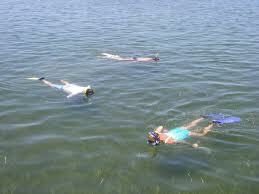 Scalloping in Steinhatchee is a fantastic way for you and your family to spend your summer vacation. In July and August, thousands flock to the area to go scalloping in Steinhatchee ans hunt for bay scallops. Bay scallops are easily found in 2 – 8 feet of water. You can wade into the grass flats and easily scoop them up with a dip net or by hand, or take your boat and your snorkel gear and look deeper in the grass flats. The town is located at the mouth of the Steinhatchee River. The river flows into the Gulf of Mexico and is home to excellent scallop grounds. Steinhatchee is an pristine area located about 90 miles south of the State Capital in Tallahassee. It is about 70 miles west of the University of Florida in Gainesville. 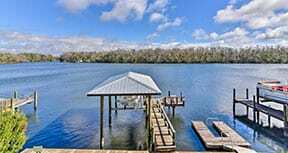 Steinhatchee is a charming fishing community nestled along the banks of the Steinhatchee River. It is one of the few towns in Florida that has withstood the test of time and embodies the “Old Florida” character. Picturesque Victorian houses and shops can be found amid Florida “Cracker” style homes, hotels, small marinas and family owned restaurants. If you bring your own boat, you can launch from one of the local boat ramps. If you want to utilize the generations of fishing experience that some of the local fishing guides offer, you can hire a licensed charter captain. If you know the waters or are adventurous enough to learn, you can rent a boat from one of the marinas. Any way you decide to participate, you will be guaranteed a unique scalloping experience. Scallopers usually capture their limit in a few hours.